There is a great deal of interest in the high-5. Is it really going to happen? When will it take effect? How will it work? Is there some way I can estimate – right now – how much difference it will make in my annuity? This is pure conjecture, but even though policy makers are anxious to start “saving” the money, I believe the startup will not be immediate; it might be phased in, somehow. Because there are so many employees who have served so many years, planning on the status quo, it is possible the effective date will be several years after the law’s passage, and current employees will be “grandfathered.” However, your guess on this is as good as mine. In full operation, how will it work? Instead of using the highest three years of earnings to determine average salary, the highest five years will be used. This means, of course, that for most to whom it applies, the average will be lower, and the resulting annuity will also be lower. In the above case, assuming 30 years service, using high-5 instead of high-3 means an annuity “loss” of $300 per year, or $25 monthly. Exception: when an employee in a higher locality area is transferred to a lower paying area, and retires three years later, the high-5 requirement would provide a higher annuity. In the above case, if 2014 and 2015 were, say, $59,000 and $60,000, respectively, the average salary would be $56,800, with an annuity of $17,040. Above is an idealized, simplified example to illustrate how the process will work. In actual practice, there will usually be more than three salaries in three years, and more than five salaries in five years, plus they will not all have the same convenient starting and ending dates, as in the example. Proration will be necessary. There may be occasional pay freezes. The impact of the change could vary considerably, depending on individual circumstances. While waiting to see what happens next, a free computer program for the high-3 calculation can be obtained from [email protected] (provided to non .gov addresses, only). 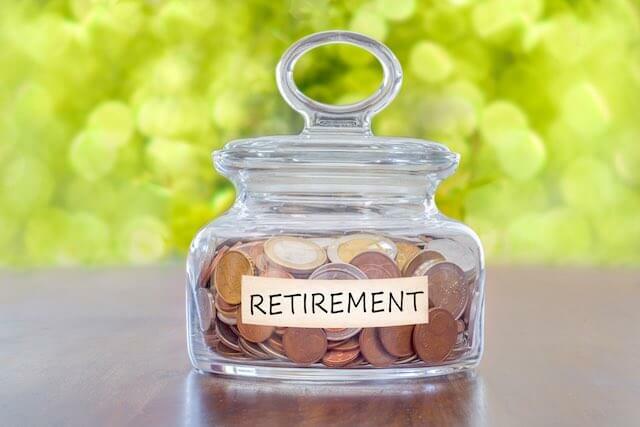 How Much Difference Does Changing Annuity Contribution Rates Make? What in the *~CSRDF*/@ is Going on? How Do You Take Away a Benefit That's Already Been Paid For?